Strada18 in South Norwalk has been around for a while and really carved out a niche for itself as an artisanal Italian restaurant. 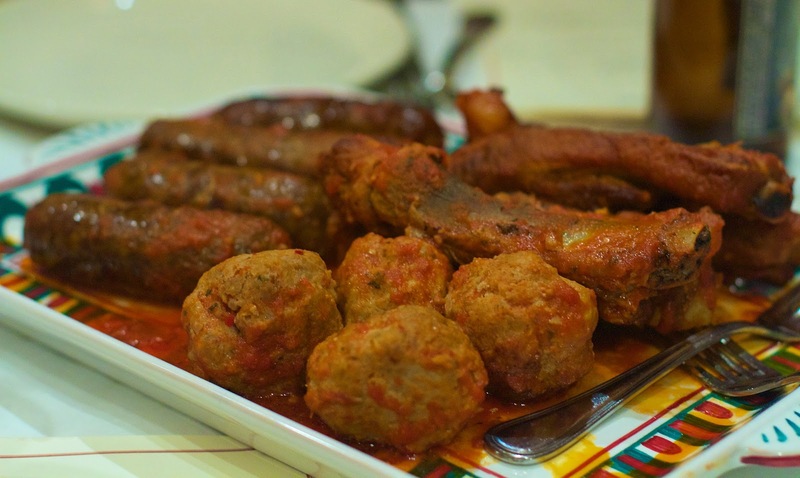 This winter, they decided to change up the menu a bit by adding some Italian-American comfort food classics. Strada18 is a rustic and cozy spot on Washington St. in SoNo. Everything that they can make in-house, they make in-house. And while they aren't a "farm-to-table" establishment, they do in fact source many items locally/regionally. On the night we attended a press dinner with our fellow food writers, we learned that the vegetables were sourced from Smith Acres, Hubbard Heights, and Riverbank Farm and the meat/eggs came from Ox Hollow, Kippy's Farm and Rosenkrans. Before we get the food, let's talk drinks. 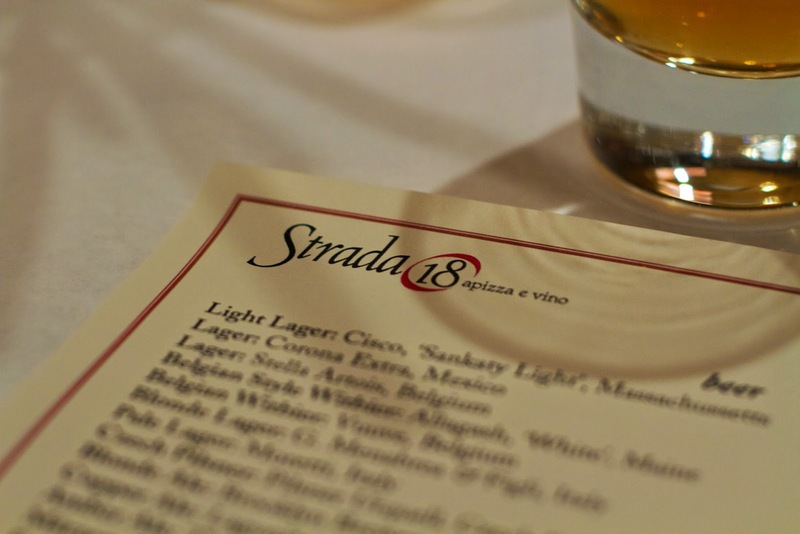 Strada18 has a wonderful wine list full of hand-selected "little gems" from small and little-known wineries in Italy. There are 300 or so choices, most of which are organic or biodynamic. Many of the wines are still produced the way they were done 500 years ago. They truly seek things out that have a story. The beer selection consists of 20-25 choices with many interesting craft brews in the mix. 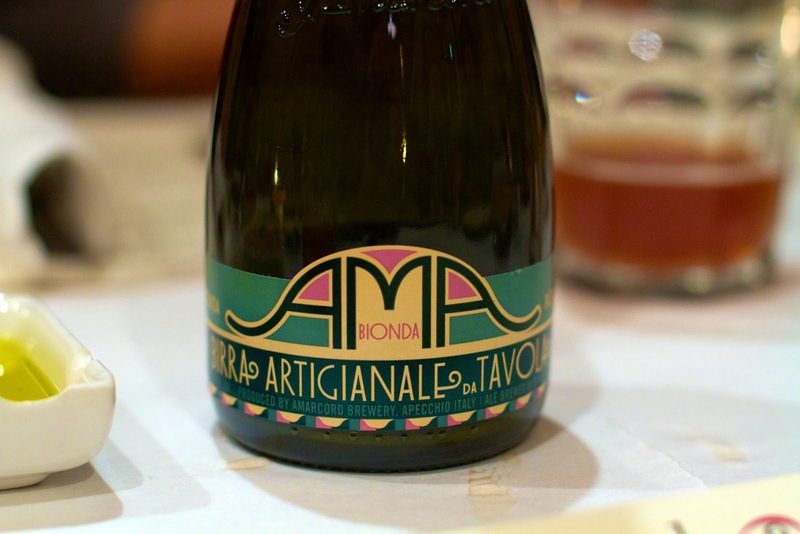 At the press dinner, we enjoyed tastes of Birrifico Grado Plato Chocarrubica, Founder's Curmudgeon and Brooklyn Brewery/Amarcord Ama, just to name a few. We started with two small plates. 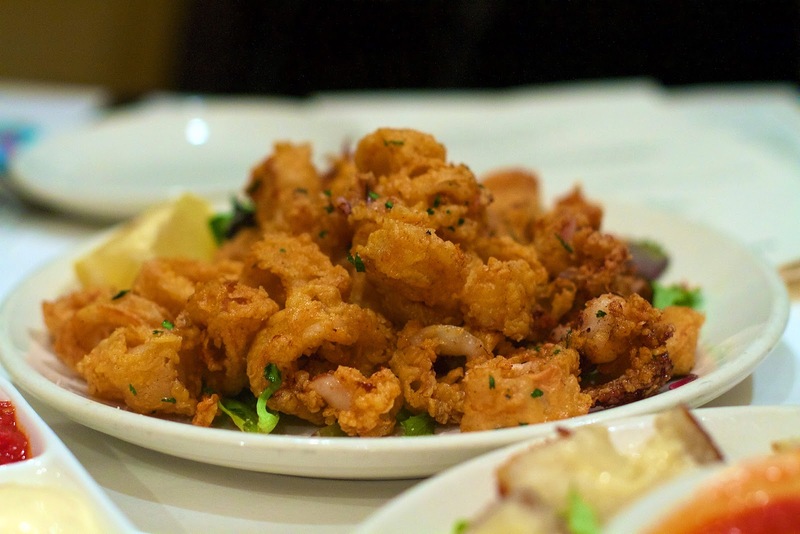 Fried Calamari with three sauces: aioli, lemon-lime jalapeno-cilantro, and marinara. The calamari was crisp, not at all chewy. Personally, I loved the citrus jalapeno sauce. 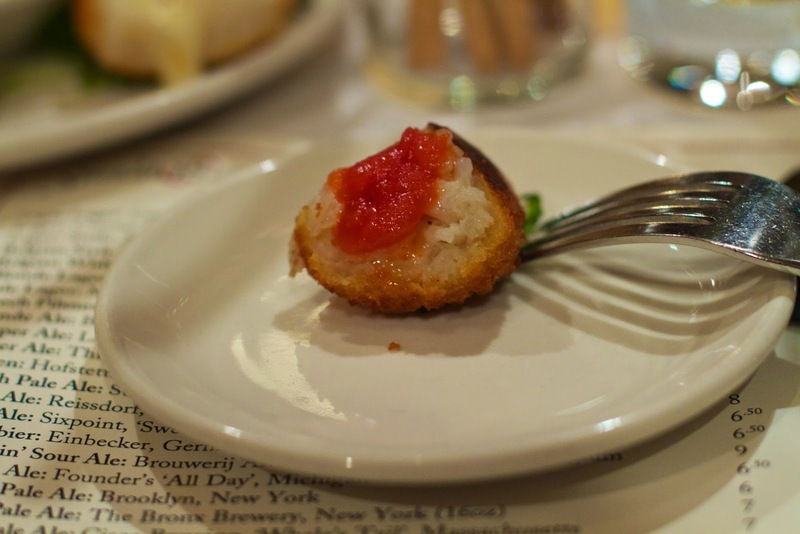 This was followed by Arancini - fried risotto balls stuffed with American farmstead fontina served with a tomato sauce. The fontina was rich and creamy. 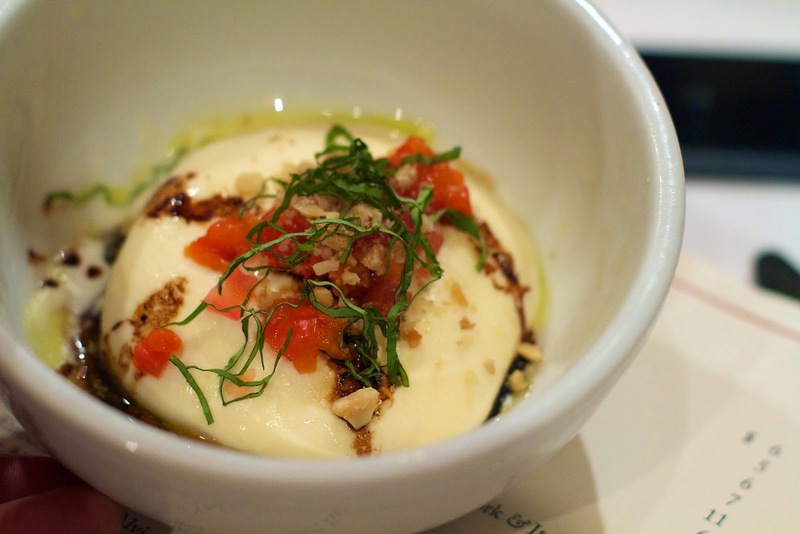 Our next course was much anticipated, the House-made Burrata served with Sicilian unfiltered frantoio, EVOO, 10-year aged balsamic vinegar, fresh basil, house-roasted red pepper, and walnuts. This is a solid burrata with a nice texture. The flavors blended well in each bite. Then, it was on to the main courses. Sunday Sauce made and served with spareribs, house-made sausage, and meatballs over rigatoni. As soon as it hit the table, this was the sight and smell of true comfort. Whether you call it sauce or gravy, this creation was everything it needed to be with deep, rich, long-simmered flavors. I cannot lie, this Sunday sauce rivals my mother-in-law's (just don't tell her I said that, okay?). 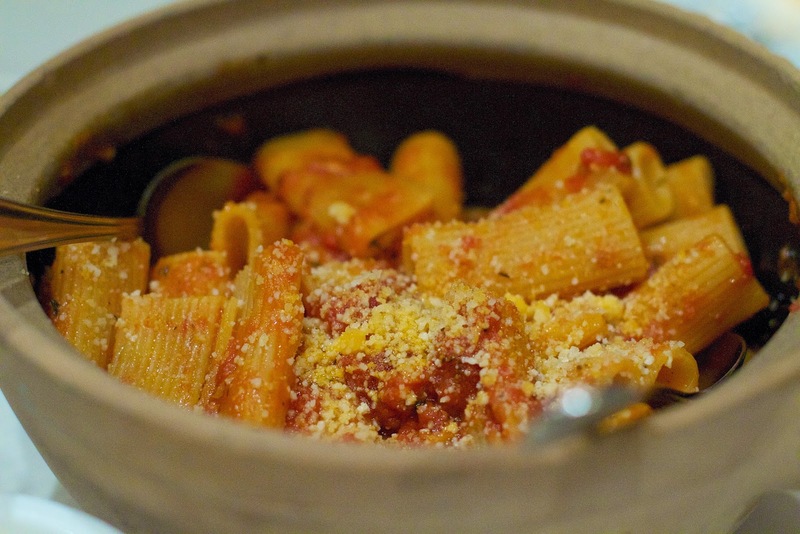 The rigatoni was cooked perfectly al-dente. And, those spareribs. Amazing! Sauce meat is always the best. 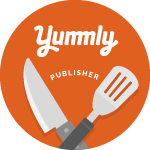 For those of you with gluten issues, you can still enjoy this Sunday Sauce. They also serve it over house-made gluten-free quinoa tagliatelle. They grind their own quinoa flour to make the pasta. It was just as delicious as the traditional rigatoni. Really. Next up, Chicken Parmesan served with Broccoli-Rabe-Sicilian Style sauteed in EVOO, toasted garlic, currants, and hot pepper. The chicken parm was the only disappointment of the evening. It was a little dry and nothing special. I think this was an anomaly of our press dinner. I have heard from people who have ordered the actual meal, that's it's been quite good. By this time, I was happy to be wearing stretchy jeans because out came an array of dessert options, each one better than the last. 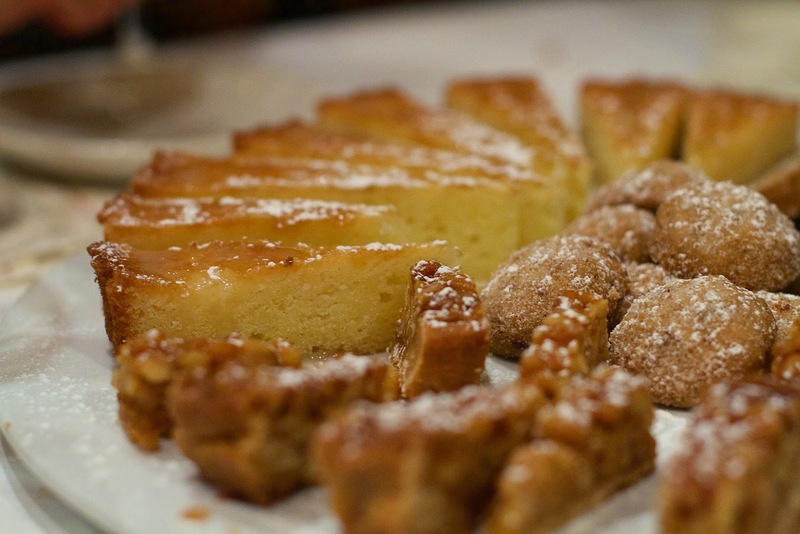 Of the baked items, there was Pignoli Honey Tart, Lemon Semolina Cake with limoncello icing, and Black Pepper + Walnut Biscotti. I could not get enough of the lemon semolina cake. 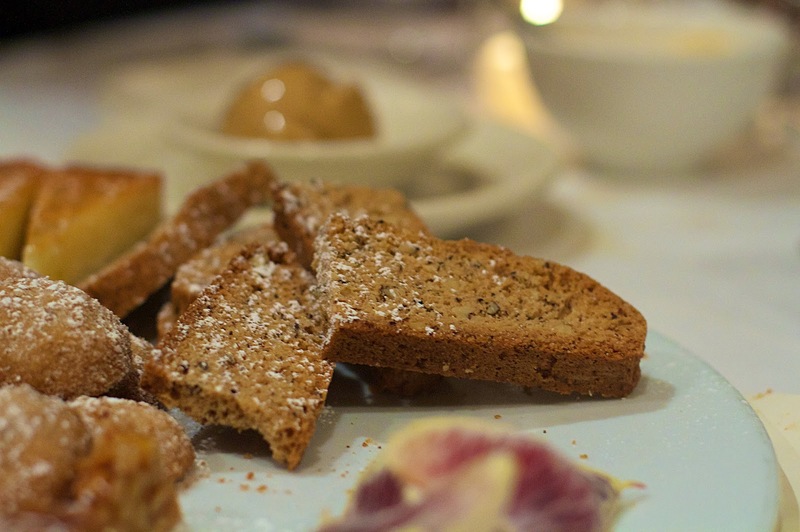 The biscotti were the perfect balance of sweet and savory. We also sampled Mascarpone, Caramel and Chocolate gelato. However, the dessert that won me over was the "Shot + A Beer." 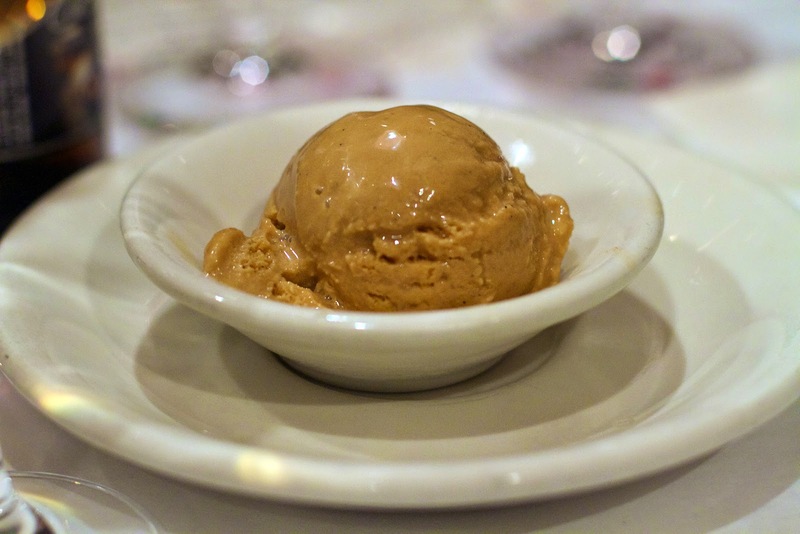 This delight was Founder's Curmudgeon Old Ale gelato with a shot of Drambuie poured over it. Irresistible. It might have been a weekday evening, but with the feast of comfort food, flowing drinks, and vivacious chit-chat around the table, it really felt like Sunday dinner. It made this Italian-American smile. YUM! Everything looks amazing from start to finish!